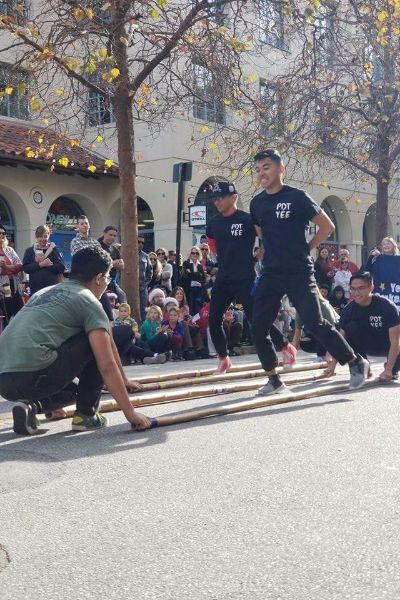 Friday and Saturday, April 27–28, the dance group will be on the bill as part of the Pilipino Cultural Celebration, which will be at 7:30 p.m. on the campus Mainstage Theater and will also include music, theater, and poetry. 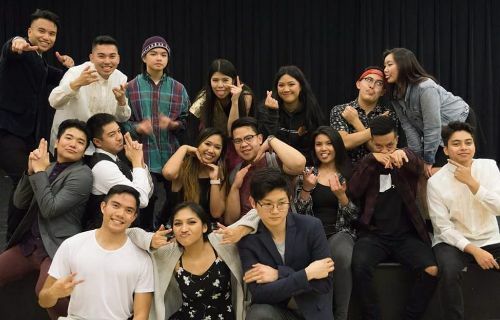 The troupe “filled I void I didn’t understand until college,” says De Guzman while sitting in the Stevenson Events Center and waiting to rehearse for the upcoming Pilipino Cultural Celebration. “I grew up in a town where our community wasn’t that big, so I didn’t have that cultural interaction with my Pilipino background except with my family. Indeed, the Stevenson Events Center is filled with about 100 students eating take-out, laughing, and working at their computers as their friends rehearse.